Paul and His Team | Moody Publishers (2017) from Ryan Lokkesmoe on Vimeo. We can learn so much from the lives of the earliest Christ followers—a small group of ordinary people who, obedient to God’s leading, propelled the spread of faith that now circles the globe. In Paul and His Team, Ryan Lokkesmoe gives us a fascinating look into the hearts and actions of these pioneering believers, yielding valuable insights into how we, too, can be salt and light in a challenging world. Ryan takes a powerful yet practical look at not just the apostle Paul, but at Paul’s team, as it applies to leading in the church. If you are a leader, the people and team you build are critical to moving the mission of the church forward. In Paul and His Team, Ryan pulls out important insight on church leadership and influence. Ryan Lokkesmoe has given us a fresh window into Paul’s leadership and influence, focusing on the team he recruited, developed, entrusted, and unleashed. While Ryan has the academic credentials to give us a deeply theological understanding of the life and ministry of Paul, this book is not merely theoretical. Ryan has not simply studied these topics in the classroom; he is also a practitioner who has learned these valuable lessons in the trenches of real-life ministry. Ryan Lokkesmoe explores the real-life implications of how the body of Christ is supposed to work together to fulfill the Great Commission. In a day and age where there is far too much emphasis upon upfront leaders and not enough on the power of a team, Ryan offers a helpful contribution that is both accessible and scholarly. If you are a leader or part of a leadership team, you will find his insights helpful. Popular-level leadership manuals abound. Many Christian manuals exist as well, often prooftexting principles initially derived from sources other than the Bible. 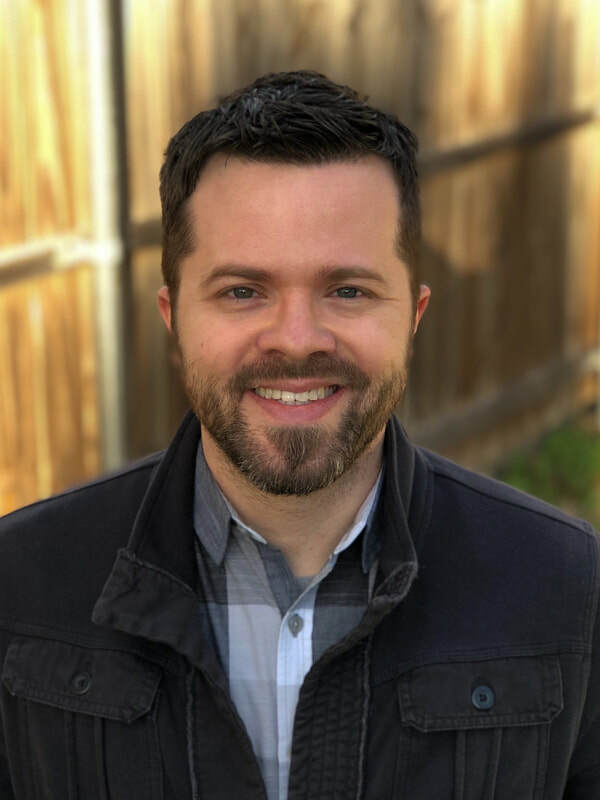 Ryan Lokkesmoe carefully studies Paul and his coworkers, fully abreast of the highest levels of scholarship, and discovers principles that really are in Scripture! But he wears his learning lightly and writes with the heart of the church planter that he currently is. Easy to read and highly recommended. I strongly believe that great leadership is a team sport. 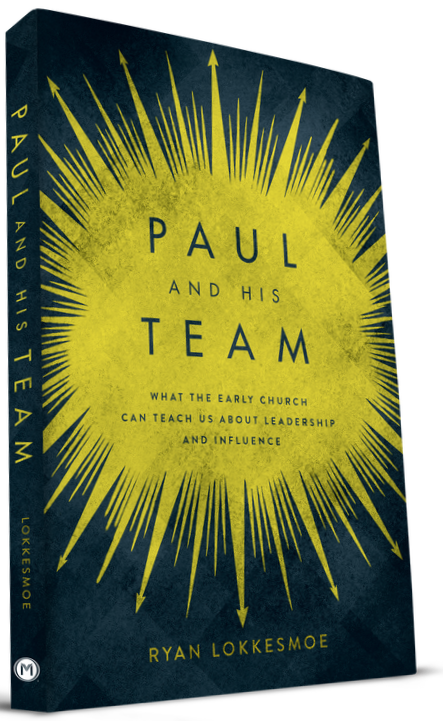 In Paul and His Team, Ryan masterfully gives us practical leadership applications from his thorough research into the team that supported the apostle Paul’s ministry. Every leadership team should study and implement the lessons from this book! Build bridges, be voices of reconciliation, seek common ground, stay focused on your mission as Christ’s ambassadors: Paul and His Team offers practical advice to advance the gospel, rooted in solid biblical teaching for both pastors and lay leaders. Helpful questions at the end of each chapter make this an excellent group study book. Viewing leadership as Christ-centered influence, Ryan Lokkesmoe insightfully lays out the principles employed by Paul and his ministry cohorts. With solid biblical scholarship and practical application to Christian leadership, Ryan has provided a significant, readable gift to the church. This book is much richer than the trendy “how-to” leadership books currently on the market. Highly recommended for pastors and lay leaders! In Paul and His Team, Ryan Lokkesmoe provides an accessible guide to the leadership example of Paul that will help pastors and lay leaders better steward the responsibility God has given them. In a day when we only think about the “super leaders” in the big lights, Lokkesmoe insightfully highlights the whole cast of lesser known men and women who supported Paul’s apostolic mission. In the process we learn valuable lessons about leadership, conflict resolution, and true kingdom collaboration. This book quietly turns most leadership books on their heads, demonstrating the real work of God through the lives of ordinary, flawed people who offer their disparate gifts to the Master. I heartily recommend it. Paul and His Team is a practical and accessible book that dives into the leadership principles of first-century ministers, then applies them to life and ministry in the twenty-first century. The way it is organized, from building bridges with nonbelievers and walking them through baby steps, all the way to mature Christian faith and training the next generation of leaders, is especially helpful. This outstanding gem of a book is an honest and cutting-edge guide to becoming winsome, gracious, and effective on- and off-stage leaders in our challenging new cultural context. It is a marvelous treasure trove of fresh, biblical, and hard-hitting insights. The apostle Paul urged believers to imitate him and his team, and Ryan Lokkesmoe breaks down for us how to do this in the twenty-first century. I heartily recommend this powerfully relevant book. Looking for a new twist on effective leadership? This may be just what you’re looking for! In contrast to the “latest and greatest” leadership theories, Ryan Lokkesmoe leads us back to the early church for in-depth perspective on the leadership strategy of the apostle Paul. Highly recommended!